OTTAWA -- Protecting and conserving the natural environment is Parks Canada's main job, the federal environment minister concludes in her response to a massive public consultation on the future of Canada's national parks. "I did feel there needed to be a reset button," Catherine McKenna said Monday about her response to the Let's Talk Parks consultation, held January 2017. "I thought it was really important to make that signal." That response acknowledges that commercial developments -- especially in the heavily pressured Rocky Mountain parks of Banff and Jasper -- may have to be reviewed. "Maintaining and restoring ecological integrity requires limits on development in national parks, particularly those where development can impact ecosystem health," McKenna said in the report. She said an independent working group will be struck to examine Parks Canada's practices and approval policies for development. That group is to report back by the end of August. The report also acknowledges how important the parks are for tourism, noting that they support the equivalent of 40,000 full-time jobs across the country. Let's Talk Parks Canada was the largest public consultation the agency has ever held. More than 13,000 people and organizations participated either in person at public meetings, through online surveys or via email submissions or social media. The response makes a series of further promises. 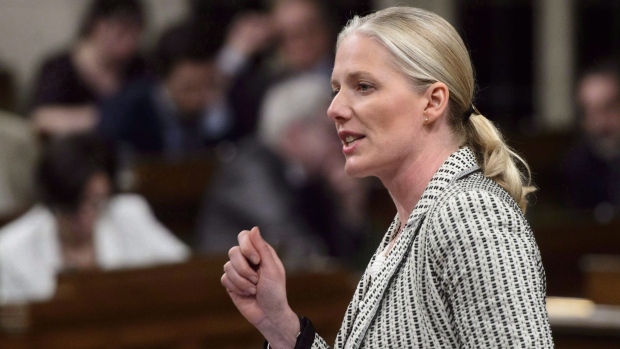 McKenna said her government will restore Parks Canada's science capacity, at least to the level it was at before its budget was curtailed in 2012. It promises greater transparency, with assessments of individual parks conducted every five years and released publicly. The document also promises to "finalize the creation of currently proposed national parks and national marine conservation areas," although it doesn't provide a timeline. It commits to greater involvement of Indigenous people, as well as a complete revision of the national parks system plan by 2020. It also pledges a higher standard of environmental review for developments in parks. "There are cases were we could just be making sure that we're doing a really good job, looking at the impacts on parks, on ecological integrity, on species at risk as we make major investments in infrastructure," McKenna said. She singled out a proposed bike path between Jasper and Banff along the Icefields Parkway as one plan she'll be examining. 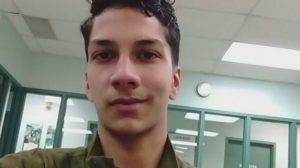 Eric Hebert-Daly, director of parks advocacy group the Canadian Parks and Wilderness Society, said his group was pleased with McKenna's response. "It really appears to be the first step on the journey toward making the right decisions," he said. "The question is, how does this play out in the decision-making of the minister?" Janet Nystedt, of the Bow Valley Chamber of Commerce which includes Banff, also welcomed the report. "The Minister has demonstrated both a commitment to the continued economic contribution of Canada's parks to Canada, and to ensuring that Canada's parks are protected and sustained for future generations," she said in a statement. "We strongly believe that our local business members are an important part of the exceptional experience offered to visitors of Banff National Park. The Minister specifically identifies Banff National Park's important role in Canada's tourism sector, we couldn't agree more."